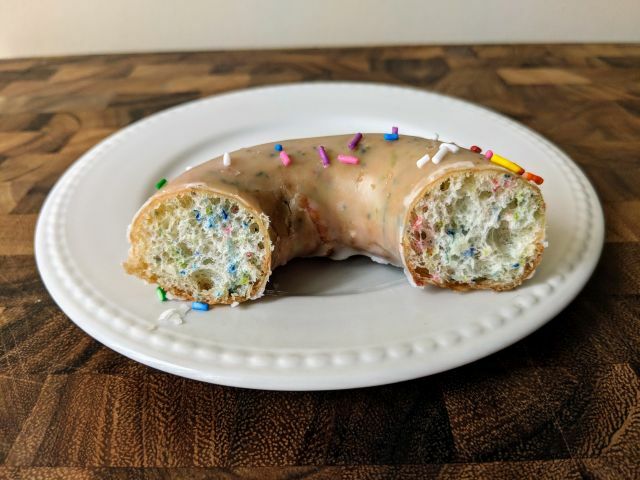 Krispy Kreme's Glazed Confetti Donut features a birthday cake-flavored yeast ring donut embedded with confetti sprinkles throughout and then covered in glaze and more sprinkles. They cost around $1 or so but I received this courtesy of Krispy Kreme. In texture, the donut portion exhibits the same extra-fluffy, soft feel of Krispy Kreme's Original Glaze but with a bit of crunch from the sprinkles. In taste, there's a mild vanilla cake quality to it and the occasional extra pop of sweetness from the sprinkles. The donut toes a fine line between an Original Glazed and vanilla cake. I did find myself wishing just a little that there was some cake frosting to complete the effect. 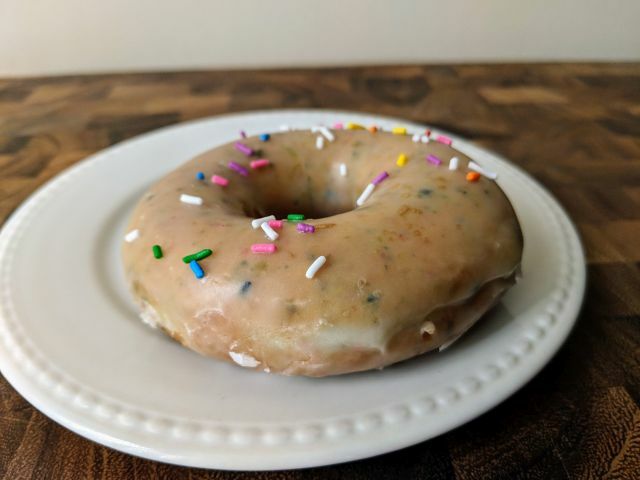 Taken altogether, Krispy Kreme's Glazed Confetti Donut makes a fine addition to a birthday celebration for a donut fan (or donut chain) as it add a festive twist to a decadent donut.